Anker Rack is a smart and collapsible clothes rack by Menu, which is suited to many purposes thanks to its minimalist style and slim shape. The Menu Anker Rack is suitable for use in hotels, offices, restaurants or bedrooms and spacious entrance halls. As the clothes rack itself is kept very slim, it offers a lot of space for all kinds of clothing. Many hangers and coats, or anything else which belongs on the clothes rack can be hung up on the 149 cm long pole. The 48 x 149 cm platform offers plenty of space for shoes, bags and other loose items. 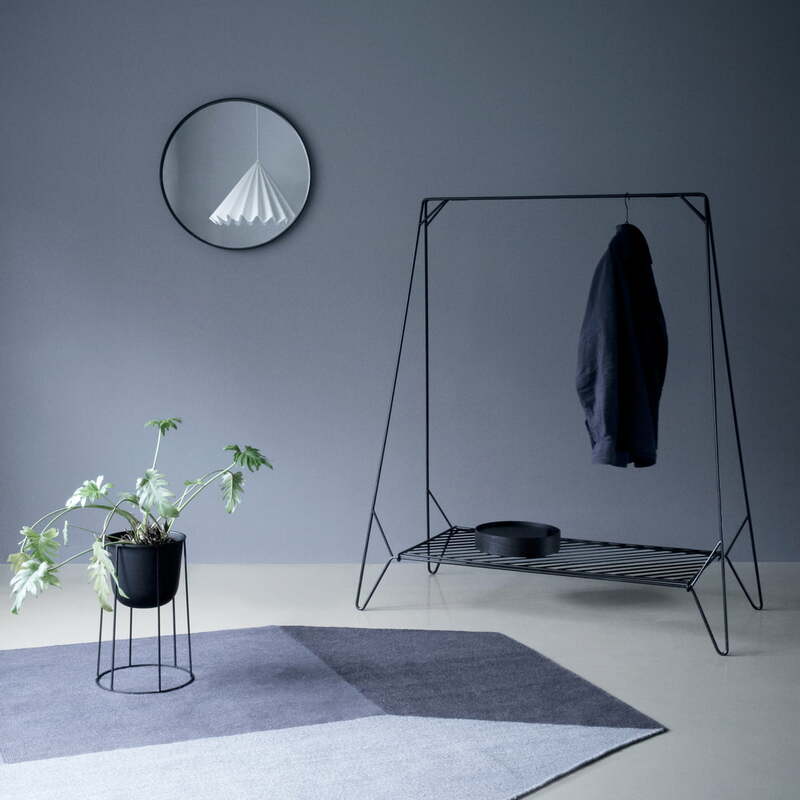 One great advantage of the clothes rack by Menu is its flexible shape: Anker Rack can be easily stowed away and stored when necessary as it is very flat when folded up. The frame consists of powder-coated steel and has a simple hook system which holds everything together - and also makes folding it up very easy. Christian Troels and Jonas Birkebæk Poulsen from Studio Anker are responsible for the design. 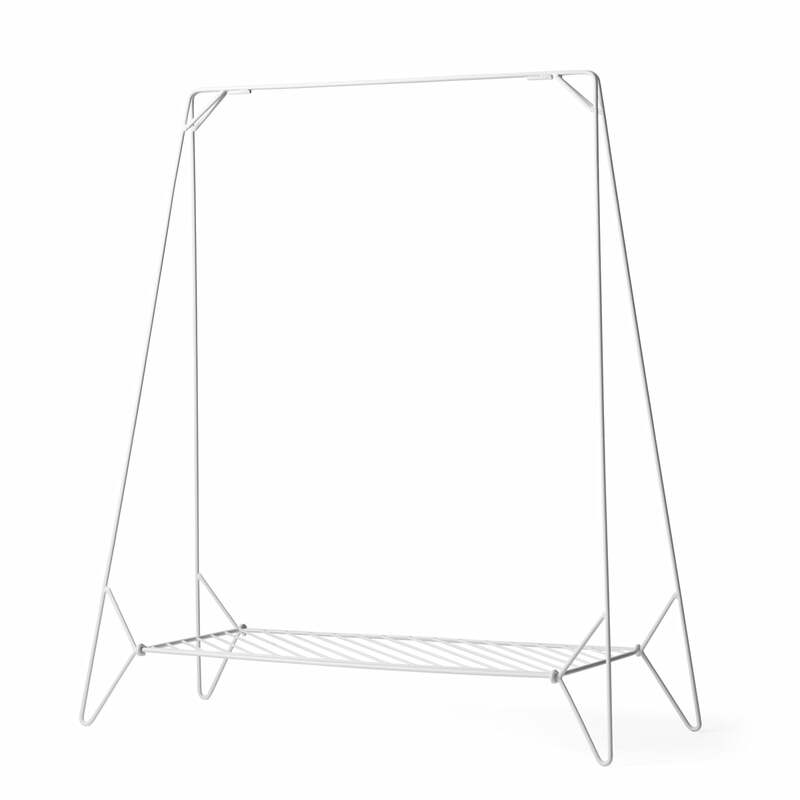 Menu produces the Anker Rack out of powder-coated steel, making the clothes rack markedly stable and resistant. The material guarantees a long-lasting enjoyment of the product.